Synology Hardening steps to change the default settings to improve security on a Synology NAS. Install and run the Synology Security Advisor and consider changing the advised mentioned settings. Update Settings. Change the settings accordingly with in mind that security fixes are applied as soon a possible. make a new user with full administrative rights, test this new user and disable admin. Advanced, Password Settings, Select Allow non-administrator users to reset forgotten passwords via email. Maximum password valid duration (days): 183 (except administrator users). Check administrator user Password is always valid. Manually change this password regularly. consider enabling firewall which depends on the IT infrastructure. 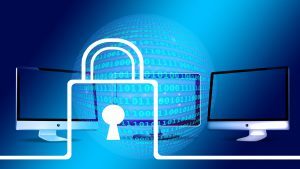 Firewall rules can be enabled for VPN services which can improve security or protect a access for Hyperbackup. This can be implemented with an allow and deny rule for certain services. consider enable DoS protection depending on your IT infrastructure. select Enable auto block, login attempts: 10, Within (minutes): 5. Enable block expiration, Unblock after (days): 1. Consider using an allow/block list. Selecteer Automatically redirect HTTP connections to HTTPS ( Web Station and Photo Station excluded ). 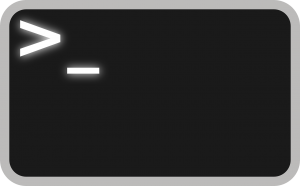 The SMB connection with macOS can be checked with the following command in a terminal session. For adding special symbols under Mac OS X like m² and m³ this is possible via show Emoji & Symbols. This option can be found under the flag in the menubar. You must activate system preferences, keyboard, show keyboard, emoji, symbol viewers in menu bar. To see the flag go to system preferences, keyboard, input sources show input menu in menu bar. Make sure you have a good working backup. Also files on a NAS can be encrypted. Have a good antimalware program running and up to date. Try to decode the files. Check the following websites for possibilities: id-ransomware, Emsisoft decrypter, Kaspersky decrypt.